Whether you are on your first baby or your seventh baby (like I am), pregnancy is an exciting time…and a tiring one! Subscription boxes are all the rage now, my oldest daughter gets one for makeup…but what about me? I want something fun in the mail…actually anything other than bills and junk mail would be a great change of pace. Subscription boxes, if you don’t know what they are, are hand-selected products sent to your doorstep each month for a fee. Some are just samples, others are full-sized products. Bluum is one of those services for mom and baby. The cool thing about bluum is that you get 4 or more full-sized products each month, based on your child’s birth date and gender worth around $45 or more. You can start this service from the very first month of your pregnancy, too! Every pregnancy and post-partum month can be like a mini-birthday gift that says, “Yay! You’ve made it another month. Way to go!” I know I could use some of that motivation somedays! As a mom of almost seven, I honestly don’t know which way is up sometimes. And I definitely don’t know what the “latest and greatest” in pregnancy or infant gadgets are. That’s why bluum boxes are so amazing. The people of bluum are able to look at a plethora of items available on the market and decide which is the coolest. Then, it arrives in your mailbox to bless you and baby. You don’t have to be “in the know” to look like you know what’s hot and hip for this year’s baby stuff. Every month, you can get a sneak peak of what’s coming your way (though I would rather it be a full-on surprise). The bluum company has an amazing Instagram feed of people posting their boxes each month if want to look! Are you a new grandma that lives far away from your expecting children? 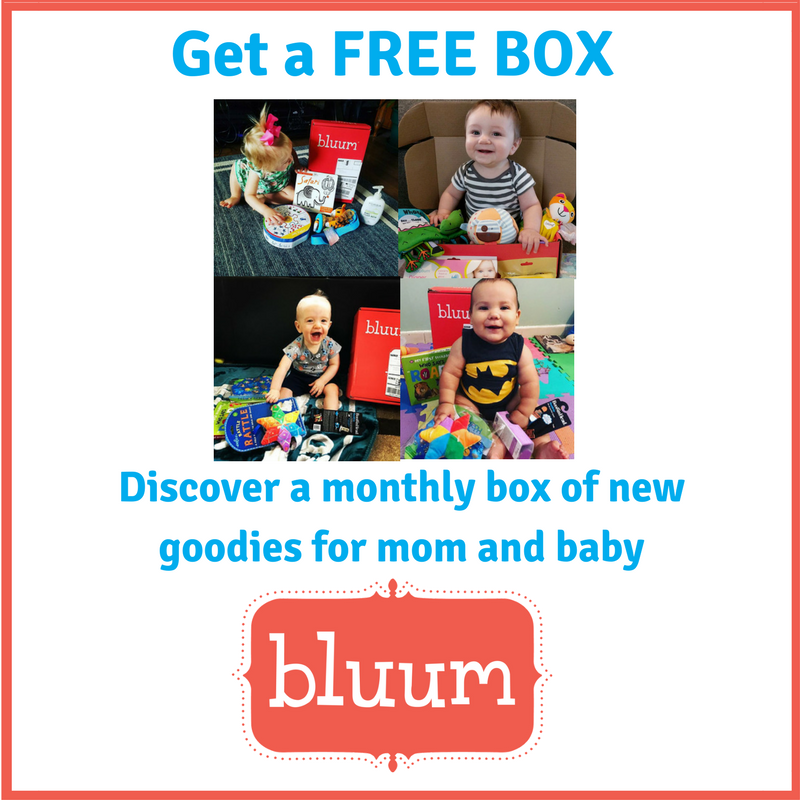 bluum is a fun and continual way to be a part of those new parents in your life month after month! A gift of bluum is a one-time thing, so you don’t have to feel obligated to a subscription box if that’s not your thing. What I think is cool about a bluum subscription box is that as a mom of so many, it’s easy to feel like pregnancy is commonplace. But babies are never common and each pregnancy deserves to be celebrated. By subscribing to bluum each month, it adds that “newness” factor back into your pregnancy and postpartum life! For other facts or information, visit their FAQ information page.